OK. I was instructed to make wings. It was -15 C outside, I was tired and I was not in the mood for anything fancy. None of these mean you can’t have tasty wings! Before I get further into this post, you need to know I did these in my smoker. 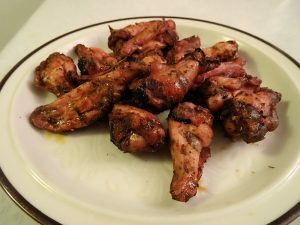 If you don’t have a smoker, you can get the same result cooking the wings in your oven at 230 F but they won’t have a smoke flavour. I used my Mexican Seasonings mix in this recipe. Feel free to use any spice blend you like. 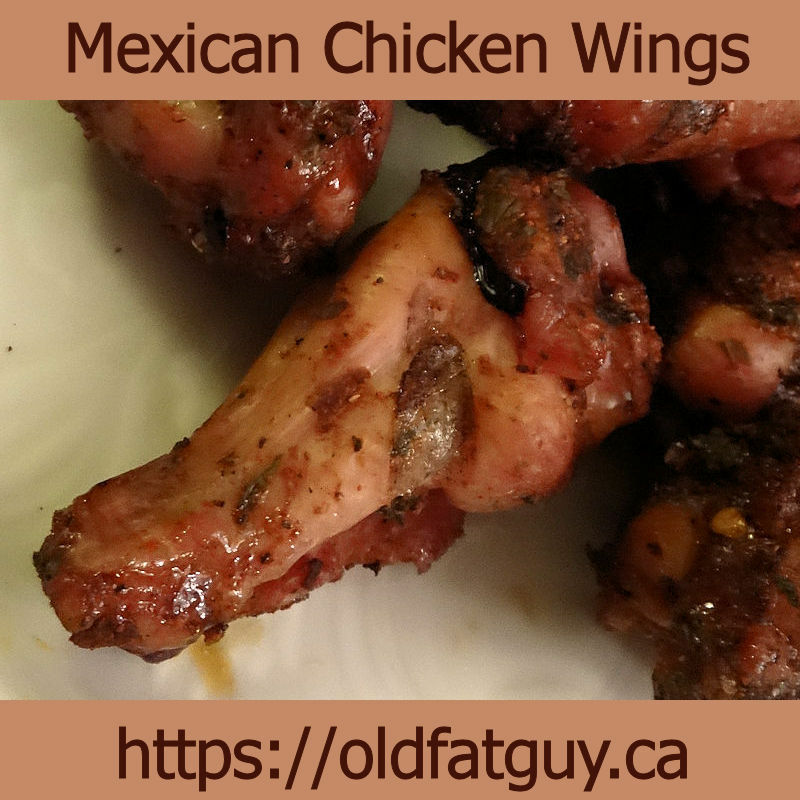 I took 15 wing segments and tossed them with 25 ml (2 tablespoons) of Mexican Seasonings. I preheated my smoker to 230 F and put the wings on for 1 hour. I turned the wings and cooked for another hour. I made sure the internal temperature in the wings was over 170 F.
I took the wings out and served them hot. These had a nice texture on the skin and a great spicy taste. I’d done what I was told, was lazy and still had great wings. Mission accomplished! Preheat a smoker or oven to 230 C.
Sprinkle the seasonings over the wings and toss to coat. Cook for 1 hour. Turn and cook for another hour. Make sure the internal temperature of the wings is over 170 F.
Previous PostWasabi Shrimp RollNext PostMy First Book Is Coming Soon!